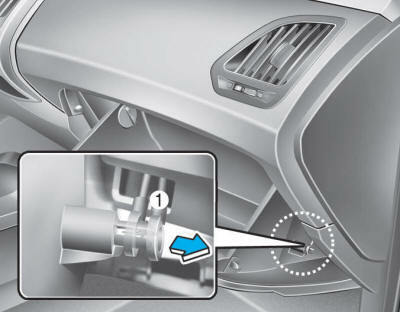 The climate control air filter should be replaced according to the Maintenance Schedule. If the vehicle is operated in severely air-polluted cities or on dusty rough roads for a long period, it should be inspected more frequently and replaced earlier. 1. 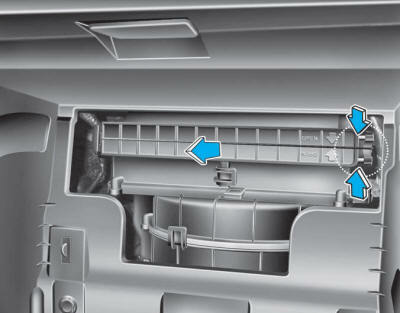 With the glove box open, remove the stoppers on both sides to allow the glove box to hang freely on the hinges. 2. Remove the support rod. 3. 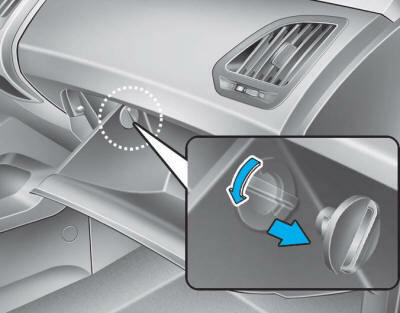 Remove the climate control air filter case by pulling out both sides of the cover.